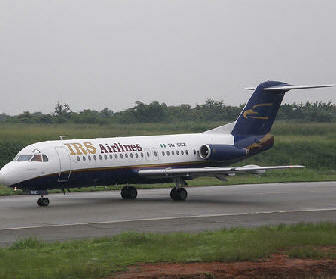 August 24, 2010 - The Federal Aviation Administration (FAA) announced that Nigeria has achieved a Category 1 rating under the FAA’s International Aviation Safety Assessment (IASA) program, which means that Nigeria complies with international safety standards set by the International Civil Aviation Organization (ICAO). ICAO is the United Nations’ technical agency for aviation which establishes international standards and recommended practices for aircraft operations and maintenance. Nigeria officially the Federal Republic of Nigeria, is a federal constitutional republic comprising thirty-six states and its Federal Capital Territory, Abuja. The country is located in West Africa. The IASA Category 1 rating is based on the results of a July FAA review of Nigeria’s civil aviation authority. With the IASA Category 1 rating, Nigerian air carriers may now apply to operate to the United States with their own aircraft. An IASA Category 1 rating means a country has the laws and regulations necessary to oversee air carriers in accordance with minimum international standards, and that its civil aviation authority – equivalent to the FAA for aviation safety matters – meets international standards for technical expertise, trained personnel, recordkeeping and inspection procedures. As part of the FAA’s IASA program, the agency assesses the civil aviation authorities of all countries with air carriers that operate or might be authorized to fly to the United States and makes that information available to the public. The assessments determine whether or not foreign civil aviation authorities are meeting ICAO safety standards, not FAA regulations. The United States Federal Aviation Administration (FAA) established the IASA program through public policy in August of 1992. FAA's foreign assessment program focuses on a country's ability, not the individual air carrier, to adhere to international standards and recommended practices for aircraft operations and maintenance established by the United Nation's technical agency for aviation, the International Civil Aviation Organization (ICAO). In mid-1991, the FAA began to formulate a program to address these concerns. This program included visits to twelve countries with airlines seeking authority to operate to and from the United States. After a trial period their findings convinced them of the need to formally establish the IASA Program. A notice of the FAA new policy was published in the Federal Register, Vol. 57, No. 164, August 24, 1992. The purpose of the IASA is to ensure that all foreign air carriers that operate to or from the United States are properly licensed and with safety oversight provided by a competent Civil Aviation Authority (CAA) in accordance with ICAO standards. IASA Process Overview, A foreign air carrier of a sovereign state desiring to conduct foreign air transportation operations into the United States files an application with the DOT for a foreign air carrier permit under the Federal Aviation Act, newly recodified at 49 U.S.C. 41302. Parts 211 and 302 of the Economic Regulations of Department Of Transportation (DOT), (14 Code of Federal Regulations (CFR) parts 211 and 302) prescribe the requirements for issuance of these authorities. Consistent with international law, certain safety requirements for operations into the United States are prescribed by the FAA's Part 129 regulations (14 CFR part 129). 14 CFR Part 129 specifies that the carrier must meet the safety standards contained in Part 1 (International Commercial Air Transport) of Annex 6 (Operations of Aircraft) to the Convention on International Civil Aviation (Chicago Convention). Before DOT issues a foreign air carrier permit, it notifies the FAA of the application and requests the FAA's evaluation of the respective CAA's capability for providing safety certification and continuing oversight for its international carriers. Upon DOT notification of a pending foreign air carrier application, if the FAA has not made a positive assessment of that countries safety oversight capabilities, the FAA Flight Standards Service will direct its appropriate international field office to schedule an FAA assessment visit to the CAA of the applicant's country. Once the assessments visits have been completed, the FAA assessment team will return to the United States to compile the findings. Appropriate notifications to the CAA and other U.S. Government officials of the results of the assessments will be made from Washington, DC. headquarters as soon as possible. If a CAA is found to be meeting its minimum safety obligations under the Chicago Convention, the FAA will forward a positive recommendation to DOT. If there is a pending foreign carrier application, DOT will issue the requested economic authority and FAA will issue operations specifications to permit the carrier to begin operations to or from the United States. When CAA's of countries with existing air carrier service to the U.S. are found to not meet ICAO standards, the FAA formally requests consultations with the CAA. The purpose of consultations is to discuss their findings in some detail and explore means to quickly rectify shortcomings found with regard to ICAO annexes, to enable its air carriers to continue service to the United States. During the consultation phase, foreign air carrier operations from that country into the United States will be frozen at existing levels. This policy is defined in a notice published in the Federal Register (Volume 60, No. 210, October 31, 1995). The FAA may also heighten its surveillance inspections (ramp checks) on these carriers while they are in the United States. If the deficiencies noted during consultations cannot be successfully corrected within a reasonable, period of time, the FAA will notify DOT that carriers from that country do not have an acceptable level of safety oversight and will recommend that DOT revoke or suspend its carriers economic operating authority.